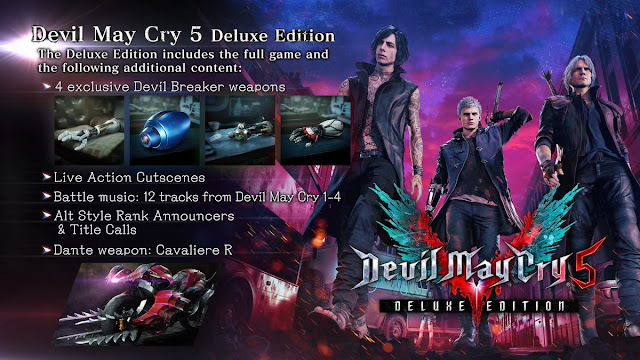 Hot off the heels of the latest Robot Master reveals Capcom also announced at Tokyo Game Show that Devil May Cry 5 will be getting a "Deluxe Edition" that comes with the Mega Buster Devil Breaker weapon for Nero. See it in action in the trailer above; more details after the jump. My gosh. It is not so necessarily! *FACEPLAM* I love Devil May Cry as much as Rockman but I dont want him using Rockman's buster at all. It sounds so silly! Nah, I wont use his Rockman's buster at all. Use that engine for future Mega Man's or X's 3D game(s). that would be terrible. If I wanted it to play like that, I'd play devil may cry. Leave MMX the way it is and just make moar. Stop being so zealous Erik! You sound like a one of those merciless and ignorany religious people. Some of your posts here and at The Mega Man Network reflect that (with that Me! Me! Me! attitude). CAPCOM can keep the main numbers' sequel as a fast pace 2D game and any spinaoff in 3D if they wanted to. And moreover, it's not like other people wishes came true just because they hope it happen not according to your way.